Carihuairazo rather jagged shape indicates a younger mountain. Excellent for acclimatization and training, before attempting the major peaks. It is not a easygoing glaciers, but an invitation to experts and novices, basic experience is required, however, full climbing gear and reliable guiding have to be consider. 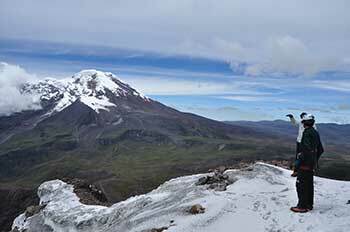 This is one of the most scenic areas in the Ecuadorian highlands. 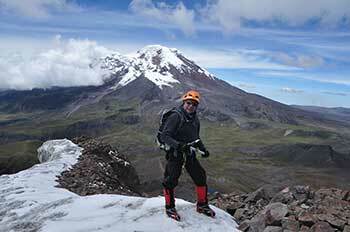 Either for training, acclimatization or seeking new experiences, this is one of the best options in Ecuador. About 150 km southwest of Quito, lies Mount Chimborazo’s sister volcano Carihuairazo, an impressively ancient and extinct volcano, ranked 10th in height among the Ecuadorian Andes at 5020 mt. 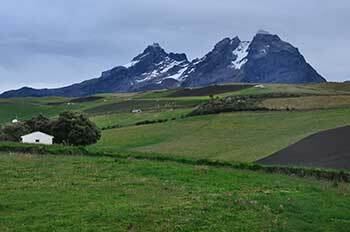 After an early breakfast, we will drive to the settle 4200mt., where we will approach by foot to the Glacier and climb up to the summit. (3hours) we will return about noon to the Community and drive back to Quito.